Welcome to Robinridge and 5506 Belvidere Place - you will love this location and the homes in this neighborhood. Robinridge is a small pocket of beautiful homes conveniently nestled off of New Garden just minutes from Bryan Boulevard and Guilford College and just next to Jefferson Elementary School. The home features ample paved parking, tons of storage, a nice wooden fence, huge deck, built-in shelves, wood burning fireplace and more. Call for an appointment - either by calling 336-675-5597 direct or have your agent call 877-878-9777 today! ***See special financing incentives below! Questions about 5506 Belvidere Place House? 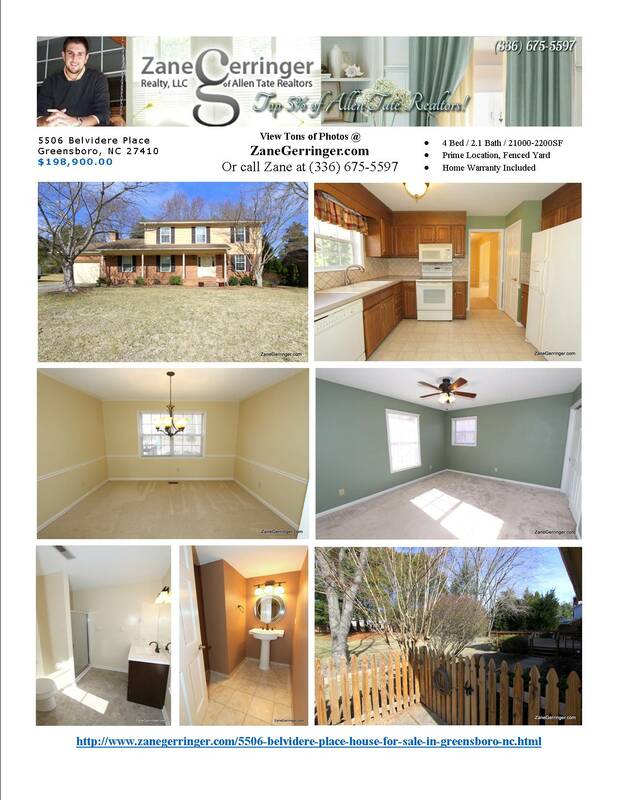 5506 Belvidere Place in Robinridge is marketed by Zane Gerringer of Allen Tate Realtors in Greensboro, NC.